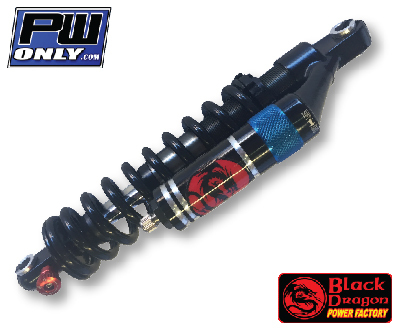 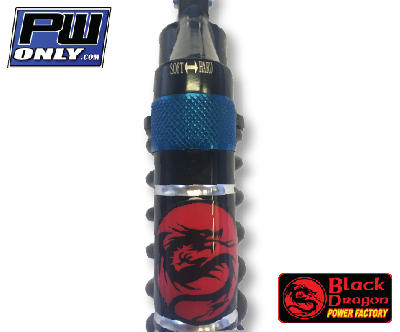 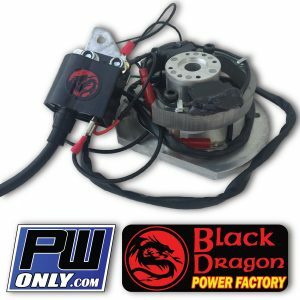 PW80 Full Adjustable Black Dragon Shock. 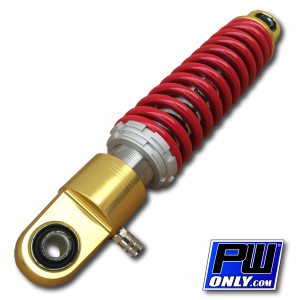 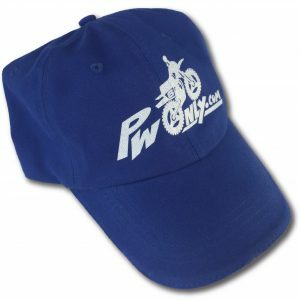 This PW 80 shock is the best quality and performance available. 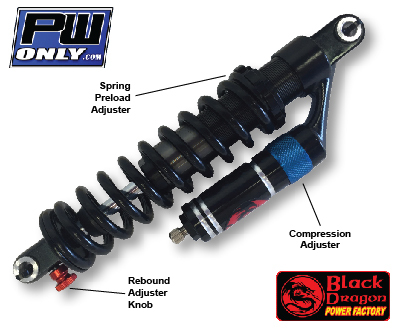 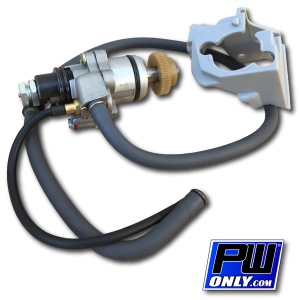 Nitrogen charged, oil dampened fully adjustable piggy back reservoir rear shock designed for PW80. 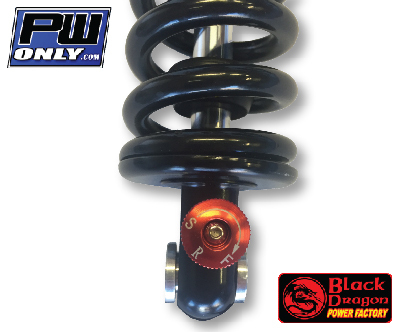 Adjustable spring preload, adjustable rebound, and adjustable compression make this the ideal choice of rear suspension for all types of riders weights and ability. 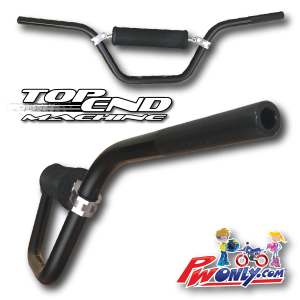 Raise the seat height up to 1 3/4 inch!